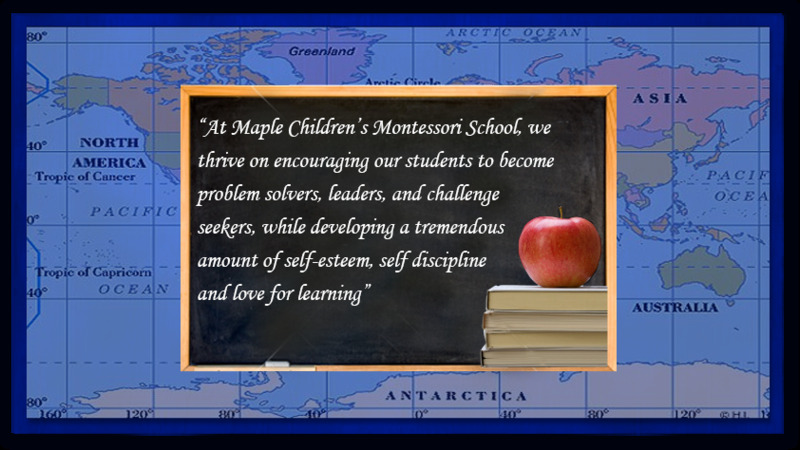 The faculty at Maple Children’s Montessori School are of the best-qualified and caring teachers available. We insist that all staff have a complete physical, annual checkup, pass a Criminal Reference Check and be reviewed frequently for teaching and behaviour management techniques. Our school strives for excellence by selecting the finest most elite instructors to deliver curriculum that meets optimal standards. Also, our specialized instructors offer expertise in all areas of education including French, Music, Physical Education and Visual Arts. A proportionate number of staff members are required to possess provincial certification (AMI, TMI, MACTE, NAMC &/or ECE Diplomas) as well as meeting MCMS own standard of character and professional competence. All staff members must participate in regular training (i.e. First Aid/CPR, lectures, conferences, etc.) to ensure that professional competency is not only maintained, but also upgraded.